Having only been established in 1992 Baumatic are a relative newcomer to the kitchen appliance game. During this short time they have quickly built a reputation for producing top quality domestic appliances offering affordable cutting-edge technology to any kitchen. Known for their dedication to constant innovation and great customer service it was not long before Baumatic become a very sought-after brand. The technology giant Hoover were so confident in their superior reputation they acquired Baumatic in 2013. The design team at Baumatic have created five unique kitchen collections to fit with any style. There is the Slim-Line Collection offering minimalist, compact appliances for the style-conscious that do not have much space. The Black-Line Collection is the first to ever offer black stainless steel appliances. The chic, dark lustre of black stainless steel throughout a kitchen gives a truly sophisticated, ultra-modern look. The range also features high end cooker hoods and hobs in black. The Retro Style Collection gives you the perfect combination of modern technology with a vintage inspired look; it really does give you the best of both worlds. The Premium Line Collection is a range of top quality appliances all finished in titanium steel and black glass. This extensive range has been engineered to include flush controls, built-in features and a choice of hobs. This is the perfect collection for anyone wanting the most technologically advanced kitchen. Last, but by no means least, is the MegaChef Collection. This collection has been created to benefit all culinary enthusiasts; both amateur and professional. All appliances in the MegaChef collection have been designed to provide superior functionality and greater cooking capacity. All MegaChef appliances are also super energy efficient. The highest energy efficiency rating appliances can have is an A; MegaChef appliances use 10% less energy than these A rated appliances. Baumatic produce a large range of cooking appliances as well as refrigerators, washing machines, dishwashers and other smaller appliances such as coffee makers and ice cream makers. They also produce luxury wine cabinets and for those with less space a wine shelf that can be fitted into the fridge. Baumatic have created a large range of contemporary splashbacks too, all designed to fit seamlessly with any of their kitchen collections. There are also many accessories created by Baumatic. From cooking accessories like their useful pizza stone to cleaning products to keep your appliances in tip top condition, all the accessories have been created to make your life easier. Baumatic have won international acclaim for the advanced technologies incorporated into all their products. Every effort has also been made to create appliances that are energy efficient with many of the energy saving features exclusive to Baumatic. As well as being available to buy online Baumatic products are now stocked across many high street shops and large department stores. 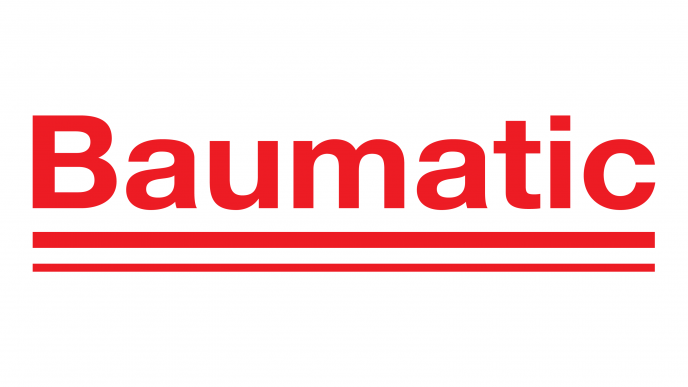 In fact, Baumatic products are now stocked by over 2000 retailers. So for anyone looking for stylish, technologically advanced, energy efficient products that are also good value for money, check out Baumatic.